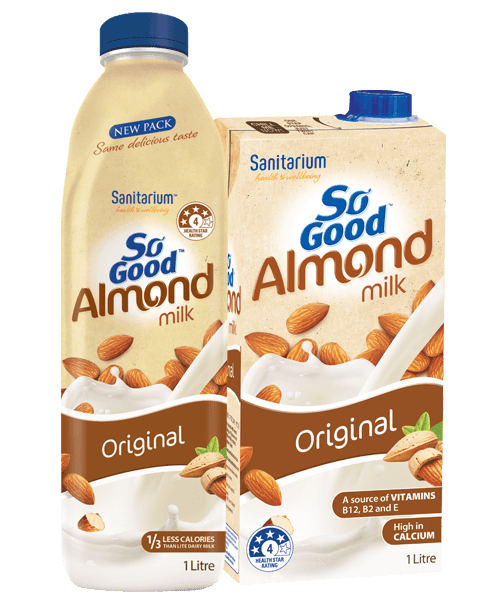 So Good™ Almond Milk Vanilla Flavoured is a delicious plant-based beverage made from almonds. 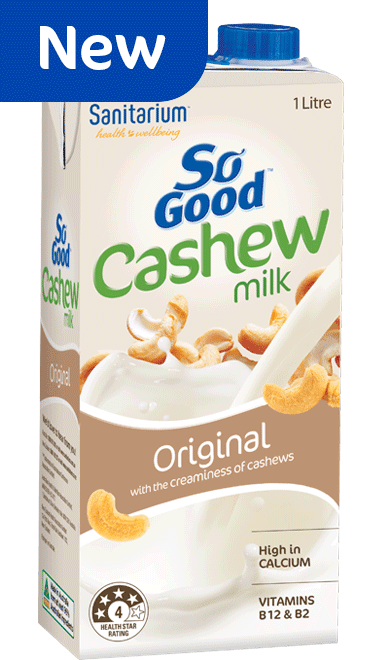 It’s a source of vitamins E, B2 and B12, is low in fat and saturated fat, and is also lactose, gluten and dairy free. 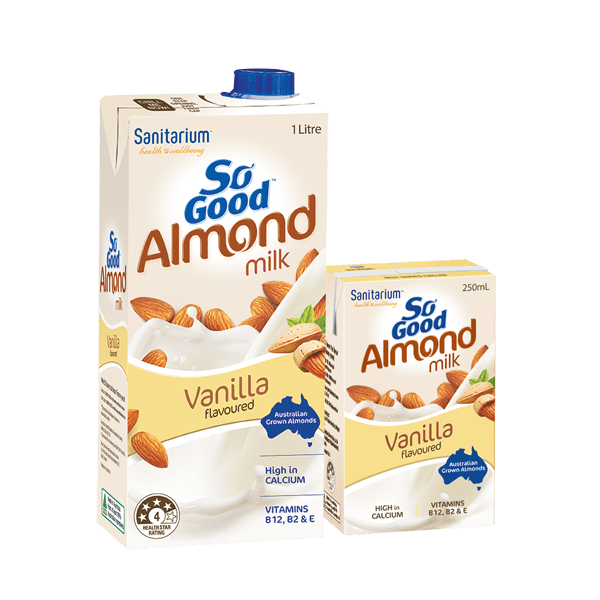 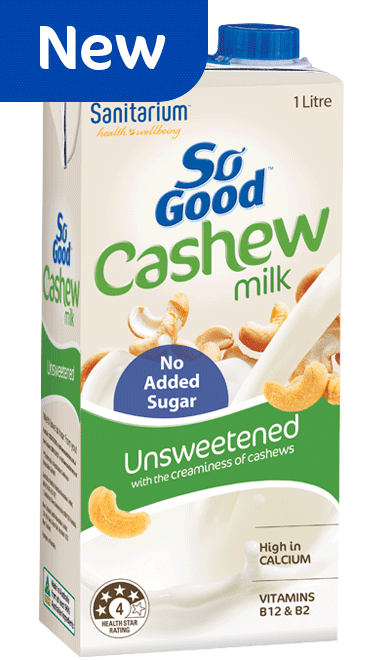 Made from the goodness of almonds, So Good Almond Milk Vanilla Flavoured has the calcium you need with over 1/3 less calories than reduced fat flavoured dairy milk. 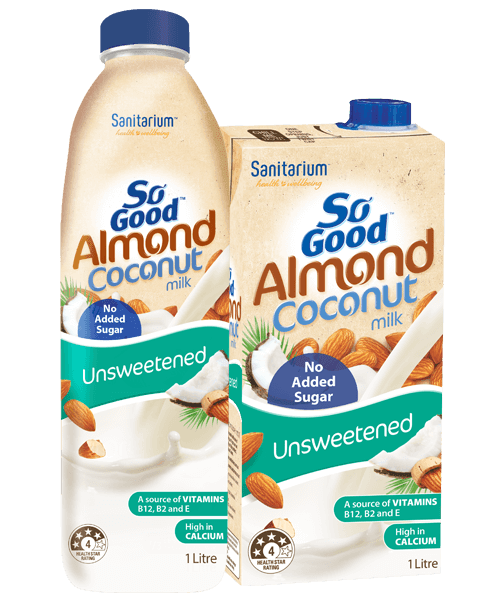 It's delicious in your porridge, whipped up in a banana smoothie, or icy cold by the glass. 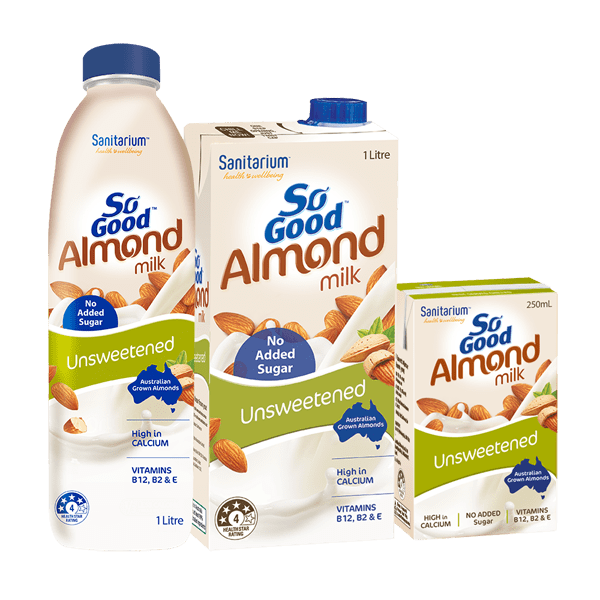 Filtered water, cane sugar, almonds (2.5 %), mineral (calcium), natural flavour, emulsifier (sunflower lecithin), salt, mineral salt (sodium bicarbonate), vegetable gum (gellan), antioxidant (ascorbic acid), vitamins (B12, B2, B1). 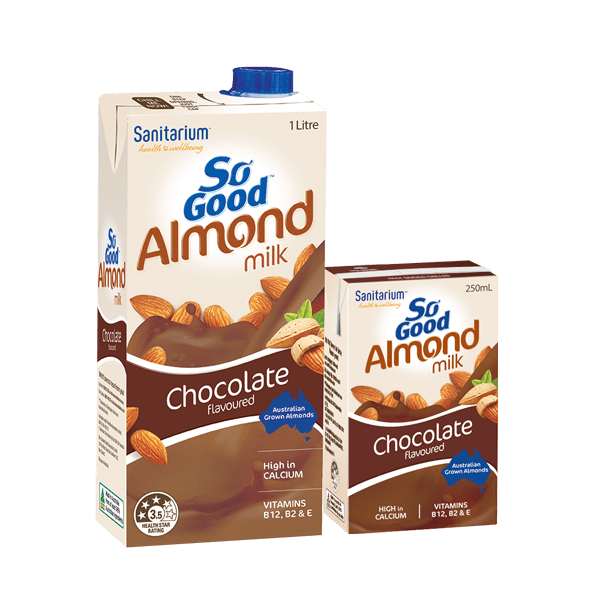 All ingredients are of non-animal origin.